Goodbye, Vanity Street; Hello, Opportunity Avenue! I'll probably never pay for a book of mine to be published. But I was tempted and I'm willing to say so. I considered paying a company to publish a story collection, having failed to convince anyone else in Wales to take it with no financial cost to me. Subsequently the book in question, Who Killed Emil Kreisler?, was accepted by a 'proper' publisher from outside Wales and appeared in November last year. So, I missed out on the experience of self-publishing, the means by which authors pay firms – say, £500 up front – to create their book, copies of which are then printed only on demand. The self-publishing firm, of course, and quite rightly, did not describe its operation as vanity publishing. Its quid pro quo for my cash input would have been what any other publisher would offer to a writer whose work it has decided to invest in, although perhaps with not as much concern for what a book or author might do for its reputation, such as it is. The firm edits, designs and arranges printing and binding. One might question with what zeal these activities are carried out in view of the author's shifted status as paying customer, and the need for the firm as well as the writer to sell the book. But any perceived failings in these areas are not uncommon among publishers who go about things in the traditional way, even down to paying the author an advance. 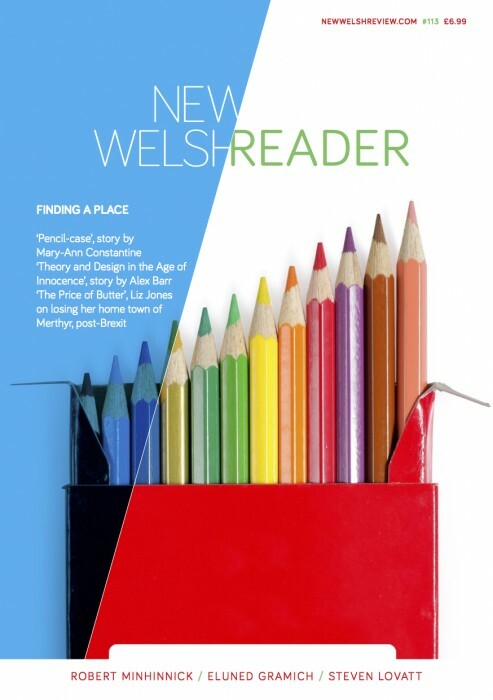 One thing's for sure: despite enthusiastic reviews for my first collection, including in national newspapers and in New Welsh Review, where I was described as 'a new voice in Welsh writing', no-one wanted a follow-up. New Welsh voices need Welsh outlets, but the phone didn't ring. I don't blame traditional publishers for their lack of interest. One or two were interested enough to read the second collection but their reason for not offering publication was the same as that given by those who didn't think it was worth my submitting: ie story collections, especially by relatively unknown writers, don't sell. So why are any – by the relatively unknown, I mean - published at all? I know a diplomatic response when I read one. I wasn't entirely unknown. I'd won the Rhys Davies Prize for short fiction and had form as a published writer and a daily-newspaper journalist. But still no-one could do. 'No can do', they said, in unison. I discussed the issues with friends in publishing's higher reaches. It's true. Unless you're well known or can be indulged by your publisher, you won't sell a story collection. One might, with this in mind, wonder why everyone's excited by the story's popularity, its so-called 'renaissance', its status as 'the literary form for the times'. Perhaps it's the Creative Writing factor, the promotion of stories by an industry on which so many academic careers depend. But I'm not, as they say, going there. What do traditional publishers, large or small, offer? Well, a guarantee that publication of your book won't cost you anything. They take the responsibility for editing, production, promotion and sales and may even pay you a modest advance. They act in what one might call a 'professional' manner; they claim to uphold standards; they treat their authors as though their reputations depended on them, as they do by definition; and they deliver a first-class product. There'll be an initial print-run; adequate in most cases but extendible if sales are high or the author becomes more marketable. Should there be a financial loss, it will be borne by the publisher. Clearly, your chance of being taken up is remote. It's what an ex-Headline employee described to me as the 'flung aside factor'. Some publishers receive over 150 scripts or more a week but publish only twenty books a year. She said the first filter round was ruthless. The chosen can be certain of being worthy of publication, though no-one demurs when a duffer is lifted from the slush pile. It happens all the time. Random House produces a fair amount of crud. What do all writers want? Well, their scripts turned into a book - a thing with pages, a nice cover with their name prominently displayed and an ISBN number; or, increasingly and co-terminously, a digital version able to be downloaded, which amounts to the same thing. So why is the traditional, no-cost-to-the-author method of achieving this considered superior? It's because you are competing to be taken on, trying to attract investment. Win the race and, ipso facto, you are better than those who lost. Your quality is recognised almost before you're published. Even then, publishers have to say 'No' to cartloads of scripts they realise are perfectly acceptable. They want the ones that will make them the largest profit or the smallest loss. This is not strictly true of self-publishers, nor can any argument they advance make it so. One argument would be that they, too, receive cascades of unpublishable scripts and that in rejecting them – and refusing the writer's shilling – they are doing everyone a favour. Well, possibly. It's here that the desires of author and publisher diverge. Your script is the same whether it is taken up by a publisher or stashed away in the drawer. So any method of turning it into a book and getting it sold and read would appear to be attractive. True vanity publishers know this and prey on the author's self-conceit. You pay the vanity publisher to produce ten copies of a book that might or might not be well edited and might or might not be saleable. Even if you wanted to sell it there wouldn't be enough copies, unless you paid extortionately for more. But once the books are delivered the vanity publisher takes fright and takes flight. Self-publishers, on the face of it, would have offered me everything a traditional publisher would, except that there would have been no print run. The book, I was told, would have been edited and professionally produced but only printed and sold to order. They market it through the usual Amazon-like distribution channels, create a Facebook page and expect the author to help with promotion, something that also happens with small traditional independents and their authors. Bookshops would have to order copies, which would then be printed and delivered. So, what's different? Well, there's no chance of remaindering, or the pulping of unsold books printed before they were ordered and sold. Print runs cost. But the crucial difference is that I would have been paying for this publication process to begin. And why not, if I'm able to raise the money? I'd tried the usual methods and found them, in this case, wanting. My only concern would have been that the publisher should be as professional as Faber and Jonathan Cape. But I think there might be a difference in being told by Cape that your script needed restructuring and being told the same by Honkytonk Press, who'd just banked your £500. Maybe I'm wrong. It's the reader who determines a book's quality or its dross level. The taste-makers are really independent of this procedure but in a weird way part of it as well. London-based reviewers assume that the best books are brought out by the famous houses (Chatto, Faber, Penguin, etc) but have been discountenanced in recent years by prizewinners coming from smaller independent publishers. If Ian McKewan's first novel had been self-published it would have been the same novel as Cape produced (give or take a couple of re-jigs, which the author might well have instigated himself). Why, apart from the constraints of time and space, shouldn't the Literary Review or the Guardian take an interest in a book an author has self-published? I just want my book available to read. If I make some money, receive good reviews, win a prize or earn the approval of peers, I'll be more than happy: and thinking about how I bring out the next one. If the part-paid-for one is even moderately successful, I know the answer to that already. But in the meantime I'll still be asking traditional publishers to take a chance with me. What I shall require of them, and what so many fail to deliver for often legitimate reasons, is commitment to aggressive, targeted and continuing marketing and promotion. That seems to be universal. Perhaps the trade needs some US-style management arse-kicking. Consider this: I show you a book and ask you to guess who bore the cost of production: the publisher, the author, the Mafia or the author's rich aunt. Whatever your answer and whatever the right one, it's the same book. It might even be worth reading and reviewing. But how many will buy and read it depends on how keen the publisher is to shift copies. The woman from Headline also told me that book selling was an initially leaden activity: the perception was that no-one wanted to buy and one had to get over that resistance before trying to interest a customer in something special. Books, in that sense, were not bread. I've long realised that in Wales and probably elsewhere there are two literary cultures. One is based on books published in the traditional way, with no cost expected to be borne by the author; the other is self-publishing in its several guises, where the author pays upfront for what the traditional publisher also accomplished on the author's behalf. Well, that's the theory, and it can be checked out – by attending the Llandeilo Book Fair, for example. There's also what I call self-employed publishing, in which an author writes and edits a book (or gets someone else to edit it) before paying a printing company to typeset and bind, or print a bound volume when it's ordered and paid for. The self-employed author is invariably an expert on how to get a title marketed and promoted, especially on the internet; this author is techy-savvy. Before long every publisher up against it will be operating print-on-demand (PoD) because it makes sense. What's the point of remaindering? It's just an admission of failure to sell. The upshot of all this is that books are proliferating, and it becomes ever more difficult to tell which ones are worth reading. Literary magazines, even in their extended digital form, cannot review everything; there are simply not enough reviewers; in any case, editorial standards must always apply: it's not about unlimited space. We therefore have the rise of the blogger-reviewer, maybe a lone voice posting from a bedroom in Halifax, who has been sent a book or picked it up at random and likes it enough to write a 6,000-word notice. It can be a kind of transferred vanity. But don't all reviewers like the sound of their own voice? I know I do. This is then quoted by the publisher (and why not?) The blogger might be literate, insightful, an unknown academic. Thus does a culture become independent of traditional channels. Publishing has never been more interesting. What's needed at every turn is the objective, third-party view. But writers may still believe in their work even if all the third parties – friends, lovers, publishers' readers, editors, reviewers – think it won't do. Then the book might appear whether we like it or not. And we may like it, after all. Who Killed Emil Kreisler? by Nigel Jarrett, published by Cultured Llama, costs £12. It will be reviewed in Review 14, our 1 March e-edition of reviews and comment.